Scientists have created a ring of plasma in mid air, the equivalent of capturing lightning in a bottle, using only a stream of high pressured water and a crystal plate, achieving what was once thought impossible. Plasma is one of the four most common states of matter on Earth, and is comprised of highly ionized gas. Lightning is a form of plasma, as is the weather phenomenon Saint Elmo’s fire, when glowing balls of light appear on pointed objects during storms. Fluorescent light bulbs and neon lights contain other forms of plasma. Plasma doesn’t usually have a defined shape, for instance lightning forms in a fork shape as it follows the path of least resistance through the air. Man-made plasmas have only ever been created in vacuum chambers or electromagnetic fields. 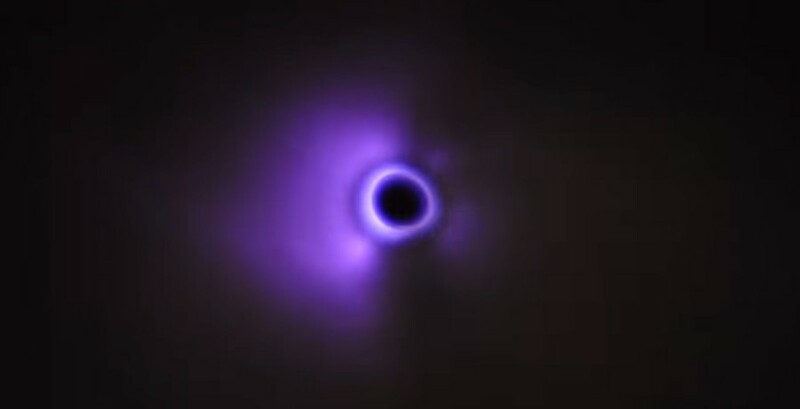 Morteza Gharib, Professor of Aeronautics and Bioinspired Engineering at Caltech, said he was surprised he and his team were able to create a stable ring of plasma. “We were told by some colleagues this wasn't even possible,” Francisco Pereira of the Marine Technology Research Institute said. “But we can create a stable ring and maintain it for as long as we want, no vacuum or magnetic field or anything." The scientists used a stream of water and a crystal plate to make the ring of plasma. The stream of water was thinner than a human hair and was blasted from a nozzle that hit the crystal plate at about 1,000 feet per second (304.8 meters per second). When the jet hit the crystal, the water created a flow of positively charged ions on the negatively charged surface. This creates a “triboelectric effect,” when an electric charge builds up due to friction with another material. This triggers a flow of electrons to the water’s surface, which then ionizes the atoms and molecules in the gas near the water, creating the round shaped plasma. As long as the water flow remains constant, the ring will keep its shape. Curiously, the researchers discovered their phones picked up high levels of radio frequency when they were in the same room as the experiment, which revealed the plasma ring was emitting radio frequencies. "That's never been seen before,” Pereira said. The team’s findings are further detailed in the Proceedings of the National Academy of Sciences.